cryptonaut-in-exile: Planet of the Daleks - "You know, for a man who abhors violence, I took great satisfaction in doing that." Planet of the Daleks - "You know, for a man who abhors violence, I took great satisfaction in doing that." Many of us will remember this one as Thals and the Grimace people vs. the Daleks. This is where I think we start to feel the tide turn on Pertwee's era. Season 7 is classic, improbably so, but an example of a broken format working better than the tired old legs it stumbled in on from the previous era. Season 8 loses some momentum, the limitations of the Earth-bound UNIT are masked by the limitations of the "The Master Has Got a Whopper of a Plan This Time" format and the fact that we love this Doctor, Jo, the Brigadier, Benton, and the Master thanks in large part to the talented actors working as an ensemble. Season 9 is probably a little stronger than 8 overall, but we're still struggling with what vision of the series this is. The tenth anniversay season starts out gloriously, and even into "Frontier in Space," this story's first half, gives us the illusion that things are better than ever and we're heading into a Golden Age. But we're not. "Planet of the Daleks" isn't the worst thing ever, it's just not trying very hard. The Daleks are as unimpressive as molten ice. And, oh yeah, this is the one with molten ice (as dumb an idea as it sounds) and the massive army of tiny, toy Daleks. And these aren't even the worst failures of ideation or visualization on display. The early going affords prolonged looks up into Three's capacious nostrils. 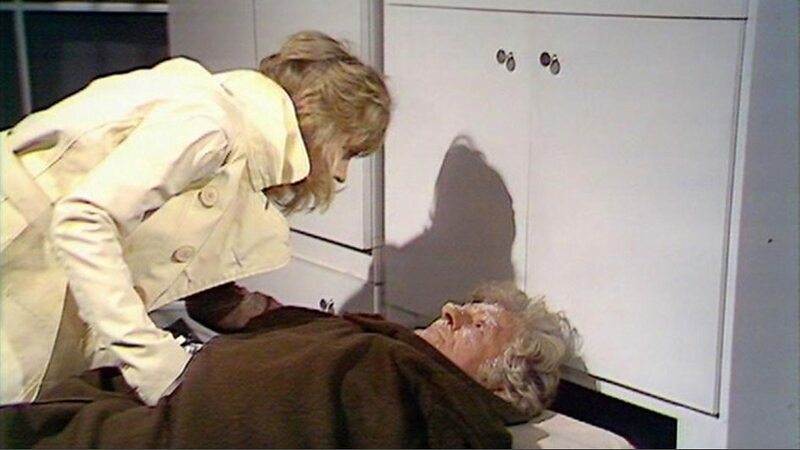 There's entertaining storytelling ahead in the Pertwee years, but not much of it. We'll meet Sarah Jane Smith next season, but she's not with her proper Doctor and things are going, generally speaking, to get worse before they get better. We'll take our glimmers of hope going forward and bide our time until "The Ark in Space" propels the series forward.